Our expert team of tender and bid writers have over 10 years of combined experience and coupled with an exemplary track record of tender success they have provided the following tender response tips to help you utilise your businesses or organisations full potential. Our team has worked diligently to provide you with just a few of these tender response tips and if you would like more we offer a free tender hotline on 02 8091 2018. Understanding the tender is a crucial part of writing an incredible tender response, it is the first and most important step to do, and as simple as it sounds there are some who miss the target completely. In order to understand the tender and its demands of you, first, you must read the statement of requirements as well as the evaluation criteria. These two sections of the tender are representative of both the demands of your business or organisation as well as the criteria in which those demands will be weighed. Thereby understanding these two components of your tender will allow you to write an exemplary tender response. It is important to incorporate win themes or a win strategy into your tender response. A win theme or strategy goes beyond simple addressing the criteria and attempts to demonstrate why your business is superior to others. A win theme can be incorporated into the tender response through your businesses or organisations policies or methodologies as well as through any additional services you can provide to the procurer. It is important to note that a win theme is solely focused on what your business or organisation can provide and is not something used to put down competitors, instead focus on what you can provide that they may not. This means leveraging on your key personnel or any unique and effective software you are using to give you that edge. Or in more simple terms a win strategies prime purpose is to alleviate some burden off of the procurer’s company, and if successfully portrayed in the tender response may greatly contribute to your success. At Tsaks Tender Solutions we believe the key to success is an exemplary work ethic combined with the diligence and knowledge required to succeed. We provide incredible tender and bid writing services at great rates and It is important for us to not only provide you with the initial service but to also impart you the knowledge that you may use in the future. Therefore an investment in The Tender Team becomes an investment into your businesses future. 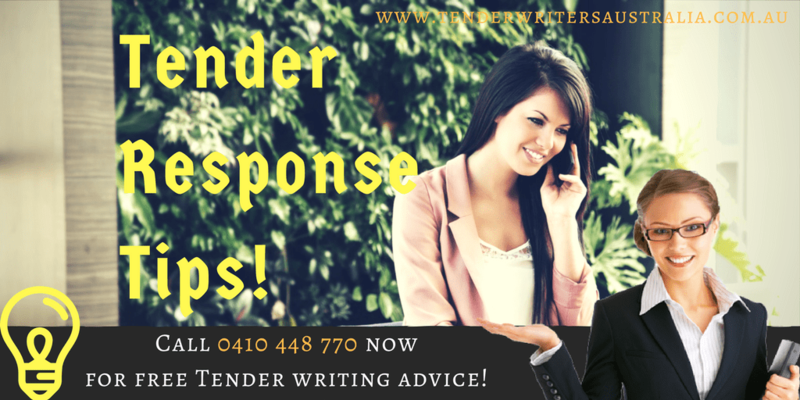 For more Tender response tips and to speak with one of our expert tender writers today call02 8091 2018 now! We offer a 24/7 advice hotline to address any of your tender response questions!